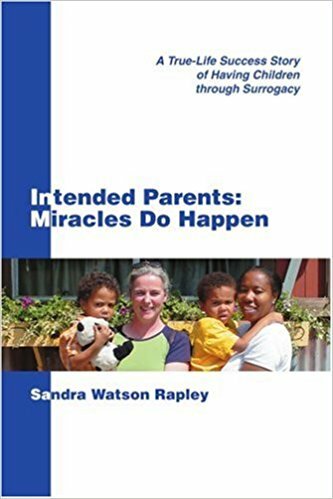 A five-time surrogate mother, Didi Perry went into the business to help people who could not become parents naturally. The Dallas, Texas woman, who has three children of her own, recently gave birth to her last surrogate child a few months shy of her 50th birthday, according to the Daily Mail. THE CHILDREN AND Family Relationships Act was signed into law by the President, Michael D Higgins, in April 2015, yet over three years later Parts 2 and 3 have not been commenced. The government’s failure to do so means that the provisions of the 2015 Act that prohibit anonymous donor sperm from being used in Irish fertility clinics are not yet in force. Further, the National Donor-Conceived Person Register proposed by the 2015 Act to protect the donor-conceived child’s right to knowledge of genetic identity has not been set up. RIGA, June 21 (Xinhua) — After a long and heated debate on Thursday, Latvian lawmakers decided that women who have not borne children should also be allowed to donate their eggs to other women for fertility treatment, rejecting a proposal to ban such a donation. Last month, the Tel Aviv Family Court ordered the state to recognize the parenthood of a woman whose partner served as a surrogate for her frozen embryos and gave birth to twins. The judge lambasted the government for its role in the affair: The state made the women go through a paper chase to adopt the twins – because the parents were two and a half weeks late in filing their request. And this happened when the babies were in intensive care. The doctor who performed my egg collection was a Nigerian man with a round face and a cheeky grin. I liked him immediately. Now he was waving a piece of paper in my face. On it was a description of the sperm donor I’d chosen; I needed to confirm the details before any fertilisation process could begin. Clad in nothing but a hospital gown, I dutifully looked it over, signed, and handed it back to him. A Norfolk man who thought he would never be able to have children is speaking out ahead of Father’s Day to encourage other men in the same situation to seek help. Adrian Stiff, 50, from Scole, was told as a child he had a condition which would impact his fertility, and this was confirmed in his 20s after a doctor told him that he had a very low sperm count. You don’t know me, but I am the mother of your child. I’m a single, 42-year-old, African American woman with a successful public-policy career, a strong social network and a tightknit family. I always believed I would bring a child into this world, but by the time I entered the geriatric phase of fertility, I still had not found “the one.” So, a little more than two years ago, after lots of soul searching, research and a few conversations with people I trust, I selected your profile from hundreds of potential donors in the California Cryobank. With God’s abundant grace, and with your generous genetic contribution, I gave birth to a healthy, smart, beautiful and hilariously tenacious little angel who is curious about the world and is just learning to walk in it. When a patient comes to me asking for help finding a gestational surrogate, my answer up until now has always been the same: I can help you, but it may involve you travelling out of state. Surprisingly, gestational surrogacy has been prohibited in New Jersey for the last three decades. While it wasn’t outright illegal, contracts were unenforceable. It was 2008, and for more than a year, Patrick and Kate Sandusky had been trying to get pregnant. Facing infertility, the Lakeview couple hadn’t thought about having too many chances to have children. Eventually, a fertility specialist said a procedure Kate had undergone years earlier would mean they needed in vitro fertilization. Through IVF, the couple had three children — now 9-year-old twins and a 6-year-old daughter. In cases of surrogacy where commissioning couples abandon a child who was born with a commercial surrogate, certain jurisdictions suggest that the surrogate take responsibility for the child. However, investigators reporting in the Journal of Medical Ethics suggest that commercial surrogates should not be given the responsibility of a child in the case of parental abandonment, citing arguments for potential legislation and the need for clearer definitions in such instances. Thankfully it seems like common sense has prevailed regarding the amendments to the Embryo Protection Act. There are three main fundamental improvements to the original Bill. The first is that a child born as a result of gamete donation will have a right to know the identity of his biological mother and father at the age of 18. The second is that the parents of frozen embryos will be given an additional IVF cycle, free of charge, to give all embryos the chance to be brought to term. This is certainly an improvement over the original Bill; however this should be further strengthened with a legal obligation to do so within a two-year period unless a medical condition precludes this. This will significantly reduce the number of embryos that will be ‘up for adoption’, which should only be exceptional cases – preferably none at all. The third amendment is that the regulation of altruistic surrogacy is going to be discussed in a separate Act of Parliament, rather than through a legal notice subsidiary to the Embryo Protection Act. The surrogate mother will be given all the support she needs while respecting the rights of the biological gamete owners.